What: A one-woman show, "I Am That I Am: Woman, Black"
When: Wednesday, Oct. 26, at 7 p.m. 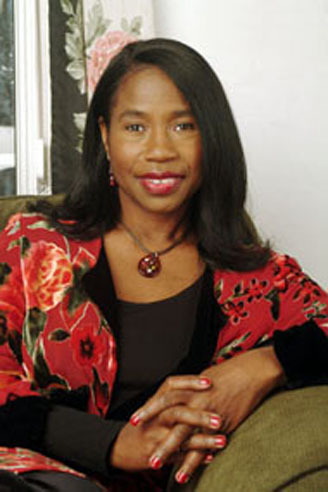 Award-winning actress Adilah Barnes is perhaps best known for her role as "Anne Marie" on Roseanne for five seasons. She has also appeared on TV shows including Gilmore Girls, Cold Case, and The Middle, as well as the movie Erin Brockovich. In her performance of "I Am That I Am: Woman, Black" at Whitworth, Barnes will portray seven remarkable African American women: Sojourner Truth, Harriet Tubman, Mary McLeod Bethune, Zora Neale Hurston, Lorraine Hansberry, Angela Davis and Maya Angelou. The show has toured nationally since 1990. It has reached people in more than 30 states as well as internationally in Europe and the Caribbean. "Adilah Barnes will connect well with our students, bring a powerful creative work to campus, and elevate our discourse on race and gender," says Casey Andrews, an assistant professor of English at Whitworth. Barnes has taught at the American Conservatory Theatre and other institutions including The Los Angeles Theatre Center. She also is co-founder of the Los Angeles Women's Theatre Festival. She is currently working on another one-woman show, "Just Call Her Woman of the Soil." Annie Stillar, program assistant, English, Whitworth University, (509) 777-3253 or astillar@whitworth.edu.